3A. Have you ever fallen in love with an everyday object? Is there an object that you use every day or frequently that you appreciate for it’s touch, appearance or usability? Most of us have attachments to things. Post to your blog an object that appeals to you because of the way you interact with it. Describe the appeal of the object to you and analyze what you love about it and why. 3B. Also post to your blog an example of a frustrating user experience. This can be a physical or digital experience. Be prepared to share with the class the object you love, the experience that frustrates you and sketches of how you would fix the frustrating user experience. Think beyond the obvious digital interfaces but focus on everyday interactions. 4. Order pizza from Facebook Messenger. Enjoy the experience (and pizza)! See how a chatbot engages with you, notice various interactions that happen inside a chatbot. Write on your blog about how engaging (or frustrating) the pizza ordering experience is. I have fallen in love with my cushion foundation, which is a makeup foundation compact that makes users easy to use with its unique design. 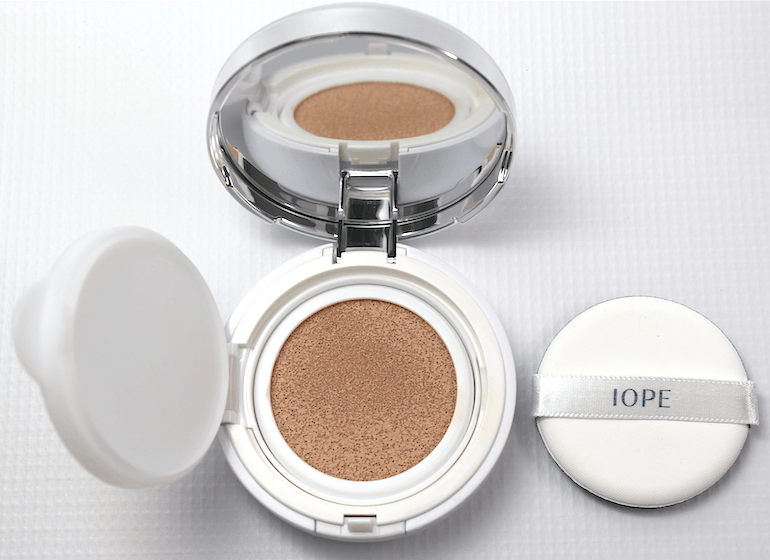 First starting in 2016 in Korea, cushion foundation has been a huge global trend in cosmetics industry. Liquid foundation usually comes in a bottle or a tube, but this cushion compact houses liquid foundation in a sponge-like cushion, where the name of this item stems from. This cushion foundation allows users to easily put on makeup by holding the compact at one hand while the case is open and built-in mirror is facing the user, and using a built-in pad to put on foundation. It’s convenient because you can use the built-in mirror everywhere, and second all you have to do is patting your face using the built-in pad. That built-in pad helps users to evenly put on foundation on their face. Moreover, it is really convenient to carry around and you can fix makeup anywhere really quickly. Makeup beginners like me find it hard to use bottled foundation because they don’t know how much liquid they should pump out, where to pump it out, and how to put it on their face. Also, you can’t carry the bottled foundation around and fix your makeup frequently. Therefore, people like me who know about this beauty of cushion foundation cannot go back to bottled foundation. I believe in the future all the makeup foundation will be replaced to the cushion compact, for its innovative design. Since iPhone 7, apple has removed the regular earphone hole. This design is very inconvenient because it is not compatible with regular earphones anymore. When I first bought the iPhone7, I lost its own earphones and there were so many times that I mistakenly tried to use the regular earphones and sighed. Now I am using iPhone 6 again and even when I forget to bring earphones and borrow ones from friends, I can still enjoy earphone function and actually listen to something! I can’t believe how much more convenient iPhone6 is than iPhone7. I tried to order a pizza from Domino’s Pizza. It started with “Hello! This is Dom, the Domino’s ordering assistant bot. How can I help?”. When I started the conversation, I typed “Can I get something?”, and “I want to get chicken wing” just like I would say in a normal conversation because it asked me how it can help. But all it said was “I’m sorry. I seem to be having trouble understanding”, and “I’m sorry I didn’t get that”. I was really frustrated and thought this bot wasn’t working. But when I tried typing just simple words like “new order”, “chicken pizza”, “delivery”, and my information, the bot responded quickly and it seemed to be working fast and well. I think this chatbot could be helpful for people who don’t have much time to read and choose pizza carefully by browsing the website. However, to me, this chatbot is not smart enough to be able to respond most of our normal language and not informative enough to explain the menu. I highly prefer using the website because it has a more intuitive user interface with the use of visual cues and simple clicks.